View The Mountain the way only the climbers do. Climb to nearly 21,000 feet for a dramatic view of Denali's summit. Thrill at the excitement of witnessing firsthand North America's tallest mountain and its peaks by air with a unique perspective - eye level! 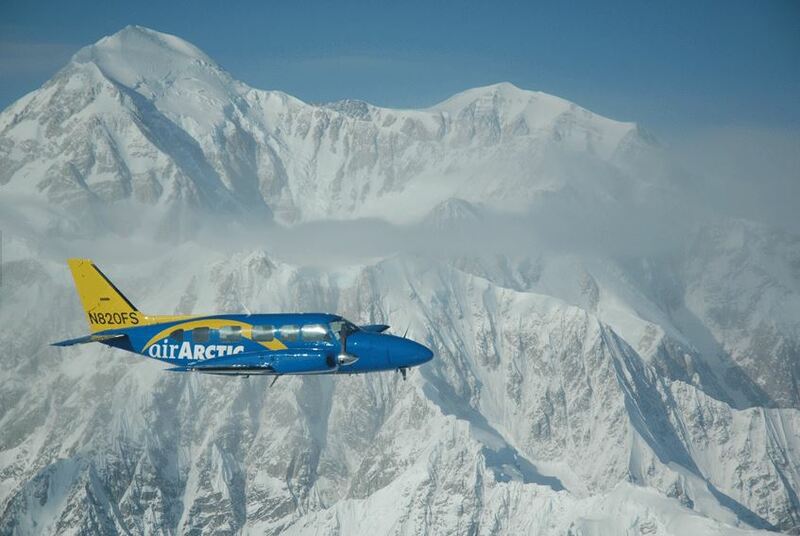 Everyone has a window seat as our 9 passenger, oxygen-equipped, multi-engine aircraft climbs to the summit for a dramatic view of Denali and the surrounding peaks and glaciers of Denali National Park.